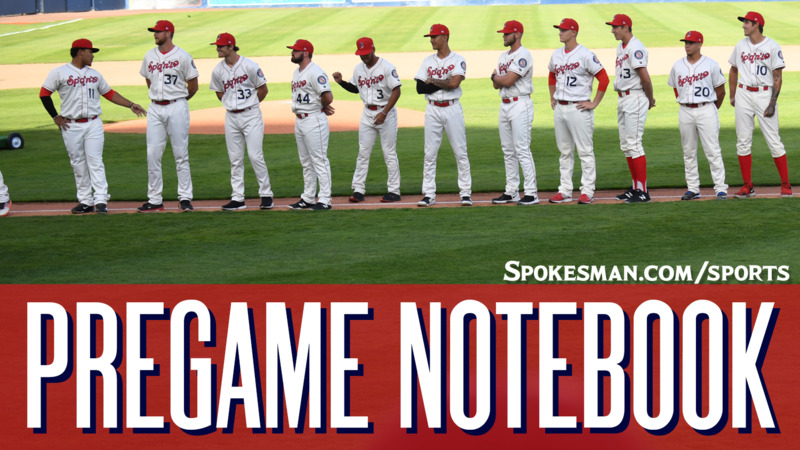 The Spokane Indians (16-22, 0-0) face the Tri-City Dust Devils (18-20, 0-0) in the first of a three-game Northwest League series to kick off the second half at Avista Stadium at 6:30 p.m. The Indians send RHP Tai Tiedemann (1-2, 4.00) against RHP Cole Bellinger (1-3, 4.85). Tiedemann is making his seventh start of the season and has tossed 27 innings. He has 21 strikeouts and has walked 16 (1.52 WHIP). Bellinger makes his seventh start and has pitched 26 innings. He has struck out 24 and walked 10 (1.35 WHIP). Lineup: 1) 2B Jax Biggers; 2) CF J.P. Martinez; 3)1B Curtis Terry; 4) SS Diosbel Arias; 5) LF Jonah McReynolds; 6) DH Tanner Gardner; 7) C Francisco Ventura; 8) RF Starling Joseph; 9) 3B Tyler Depreta-Johnson. Tri-City top prospects: C Blake Hunt (2nd round/2017), OF Grant Little (2nd/2018), INF Owen Miller (3rd.2018), RHP Sam Keating (4th/2017). ICYMI: Indians outfielder J.P. Martinez has rebounded from a rough start to show sparks of why the Texas Rangers invested so heavily in him. Last night: The Salem-Keizer Volcanoes rallied from an early five-run deficit to beat the Indians 9-6 in the rubber game of a five-game series on Monday to close out the first half. The Indians committed four errors in a four-run eighth inning. The Indians finished the first half on a three-game skid and a 16-22 record, including 4-15 on the road. Starling Joseph, Tanner Gardner and Francisco Ventura hit homers to help the Indians grab a 5-0 lead after three innings. Starter Jake Latz allowed five runs (four earned) on six hits and a walk in five innings. Transactions: RHP Austin Pettibone was added to the roster on a rehab assignment. He pitched one hitless inning for the Rangers’ Arizona League team on July 21. Promotion: Baseball Cap Giveaway & Azteca Taco Tuesday. The first 1,000 fans and all Banner Bank Diamond Club Members will receive a free Spokane Indians baseball hat. Weather: Game time – Sunny, 94. Final out – Clear, 76. Published: July 24, 2018, 5:15 p.m. Updated: July 24, 2018, 5:23 p.m.